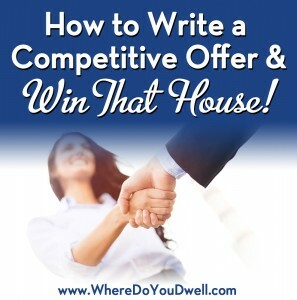 How to Write a Competitive Offer and Win That House! You’ve found THE perfect home to purchase and now you want to make the right offer to convince the seller to say “yes.” Keep in mind, there’s more to it than the offer price! Even if your price is competitive, you should still use other strategies to make you and your entire offer much more desirable to the seller. Whether you’ll be dealing with competition from other buyers or a cautious seller with a new listing, getting your offer accepted requires a “pre-game” plan and smart strategy. Most sellers are going to choose the best offer first and start negotiating with that buyer. You want that to be YOU! Here are our tips to help you seal the deal to make your “home sweet home” dream come true. You first must set your own parameters of what you’re not willing to do to get a home. Be firm since you don’t want to make an offer too sweet even for you. That means don’t forget about your deal breakers and what your price ceiling is (the absolutely maximum amount you’d be willing to offer). You don’t want to get dragged into something you’ll regret with your “monthly” mortgage way over budget. The less stipulations and concessions you ask for the better! You don’t want an annoyed seller who could move on to the next offer. This is especially true if they want to move forward quickly on the sale. Limit the number of contingencies in your contract when possible. If you’re a first-time buyer, you don’t have to worry about selling another home. However, current homeowners may need a home sale contingency in order to purchase the new one. If so, look for other concessions that may sway the seller, such as paying for closing costs. One way to minimize the number of contingencies is to do a “pre-inspection” of the property. That way you can waive the home inspection contingency without the risk. You’ll know what you have to fix and can either decide to pass on the house or move forward with an offer that takes into consideration what the house may need down the road. Don’t expect too much or ask for too much when it comes to inclusions (curtains, light fixtures, etc.) that you hope stay with the home. You don’t want your sale to fall through over one. Buying a home requires negotiation and some back and forth between both parties. Be flexible and willing to work with the seller. Be open to setting the closing date to the seller’s timeframe, whether it’s sooner or later. Are they relocating for a new job and need to move quickly? Have they already bought their next home? Or are they an older seller needing more time to transition to a smaller home? Accommodate their stipulations if possible. For example, do they need to rent back from you for a month until they can move out? The seller needs to know that you are serious and capable financially to buy this home from the get-go. They want this sale to go through and don’t want any surprises about your finances or credit. Remember to get preapproved for your mortgage and make sure to include your pre-approval letter from your lender. This means providing all documentation such as pay stubs and tax returns early so you can move forward quickly with an offer. Put up a reasonable amount for your earnest money deposit, such as 2% to 5% of the purchase price with your offer. Include an Escalation Clause, which will increase your proposed offer up to a certain amount should another buyer submit a bid higher than yours. This can help keep you in the game and in the negotiation process. Many sellers are sentimental about their home and may select buyers for more personal reasons than just price. Write your own “love” letter about the home and why you and your family will be the right owners to care for it. Have your agent pass along information about you that will show the seller that their home is the perfect fit for you and your family. 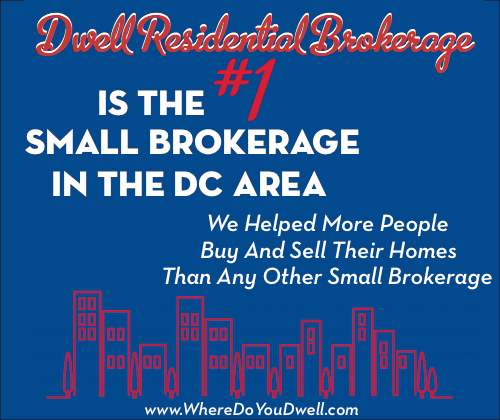 Are you first-time buyers like they may have been, having your first child, returning “home” to the neighborhood, etc.? Never have your offer be critical of the home. Even if a home is in disrepair and needs a total renovation, focus on its attributes during any communication with the seller via a personal letter or through your agent. No one offer or listing is alike. You’ll need to adjust your offer strategy to that home’s specific situation (but don’t forget your parameters!). Work with your agent to determine what adjustments are best for that home, its neighborhood and the current market dynamic (buyer’s or seller’s market). For a recently listed home with multiple offers, you may need to go higher in price and/or have fewer contingencies. For a home that’s been sitting for a while, you have more leeway but should validate a lower price with comparables from recent sales in that neighborhood. Also provide valid reasons for any issues that may decrease the home’s value. Let us know if you have any questions when it comes to making an offer. We are here to help you!